A few suggestions and ideas from a long time player. January 30 in Make It So! First... I believe you should do something about your chat and messaging feature in the game. You are losing a lot of gameplay from your devoted players who are using other options such as Line or Discord. Couple things that are wrong with the chat/messaging system... 1 when you try to contact someone that is not online the message is not delivered. This is frustrating for fleet admirals trying to contact their members. It would be nice if you could remove private messages that you are finished with out of your chat list. Also having to leave chat in order to get a private message making it so that people in chat have to tell the person that they sent a private message... (that doesn't exactly constitute the word private). It would be extremely nice to see some customizations in chat such as changing colors giving the people who are recruiting for their fleet a chance to do something that is more original for their fleet. This could be easily accomplished using a built in button for font options at the bottom of chat. I have also suggested before adding a text limit counter that wont let you waste a long line of text by going over the limit. I think with the amount of money you make on this game that you would want to better the game and not just milk your dedicated players for artwork.. I have seen and noticed the nice little tweaks you have made everywhere else in the system.This is all well and good but it looks as if you don't care about the other sections of the game that could use a bit more style to them. Another piece of the game that could be improved upon is The K'tarian Headset "the game" it was exciting to get it but it quickly becomes a waste of space and not that fun. This could easily be fixed by adding a save game to it as well as a leader-board and a refresh option to start over. You could also add rewards for leader-board positioning and add achievements for levels on the game. 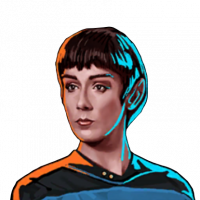 On the crew selection for changing your bridge crew or stationing crew in arena battles. The crew skill description often covers the crew not allowing you to see your available crew. I would suggest that you make this box smaller and only pop up when click hold or double click is pressed on a crew... or even a short timeout where after say 5 seconds it would go away, coming back only if you clicked on the crew again to see it. In a related matter the skill descriptions often stick on the screen in the middle of a battle, it would seem a shorter time out may be a good option. One final idea that might make timelines exceptional... How about skin color changes with fleet's faction. For example The blue skin would be default/Federation, A Red skin could be for Klingon, and so forth through out the different factions. 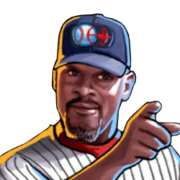 Last thought... How bout a week or two off of events and put up a recap of all the past time portal deals through out that week giving people a chance to work on their crew or ships or missions within their regular gameplay. You yourselves have preached about taking a break within the game. It would be real nice to have that time off and I am sure many other players out there would agree... Give a week break then bring out a sweet mega event or rerun more of the old events so that people can get rid of these 3/4 crew they have been holding onto for 2 years plus waiting for the event to come back with the crew that they need. Anyhow... thanks for the read and consideration I hope my suggestions find your desires to improve the game not just for me but for all those who have chosen to have the wonderful trek that you have always striven to give us. Well, there is a similar section like this but I never found this while playing this game. I like a lot of these suggestions. I will say from my personal experience, not every fleet keeps people in the same squads. Yes all these suggestion are important from the point of being good players. Really agree about giving a break from weekly events once in a while! I know the "collect them all" mentality is a big thing for many. Hence for example the huge success of Pokémon GO. Personally it is not mine though. Star Trek is my favourite Science Fiction universe, but I don´t care for every character ever created, don´t want and need each and every card in my crew. So for some events I do a bare minimum or in Galaxy events secure my Top 1000 or now even Top 1500 position on the first eve. Thing is: You don´t need DB to give you a break from weekly events, you only need yourself for that. By making choices sometimes skipping an event etc.